Situated out in Cameron County off the southern tip of Texas, South Padre Island is a highly popular barrier island beach resort town for the state. Part of the Brownsville–Harlingen Metropolitan Statistical Area, South Padre Island is home to less than 3,000 people and covers just 2.3 square miles in total. It's a hugely popular spring break and summer vacation destination with a lot of beautiful stretches of sand and excellent conditions for all kinds of water sports. Whether you're into dolphin watching, fishing, horseback riding, sunbathing, beachcombing, or something else altogether, you'll find a lot to love at South Padre Island and the city attracts huge numbers of visitors each year. The area enjoys very warm temperatures all through the year, with averages over of nearly 90 degrees in the summer months, and is home to several fun family attractions like Gravity Park, the Schlitterbahn water park, and the South Padre Island Birding and Nature Center. South Padre Island is a hugely popular destination for road trips and RV vacations in Texas, so there are naturally plenty of good quality RV parks to be found in the local area, with a couple of those RV parks being found right on the island itself, letting you simply climb out of bed each morning and walk right on down to the beaches and attractions that have made this area such a popular touristic spot. Read on to for more key information on the best RV parks in South Padre Island and the surrounding area to help you enjoy your South Padre Island vacation. Long time campers and RV users will be very familiar with the KOA name. Kampgrounds of America is one of the leading lights in the camping world and has dozens of locations all around the United States. This travel brand is synonymous with high quality amenities, super RV locations, and very professional staff who always make an extra effort to ensure that every single guest is having the best possible time and making some magical memories during their stay. The South Padre Island KOA Holiday location continues the classic KOA traditions of offering lots of amenities and super service. This RV park and campground is located in a prime spot, offering easy access back over to the mainland while also being mere minutes from some of the best beaches and restaurants of South Padre Island. 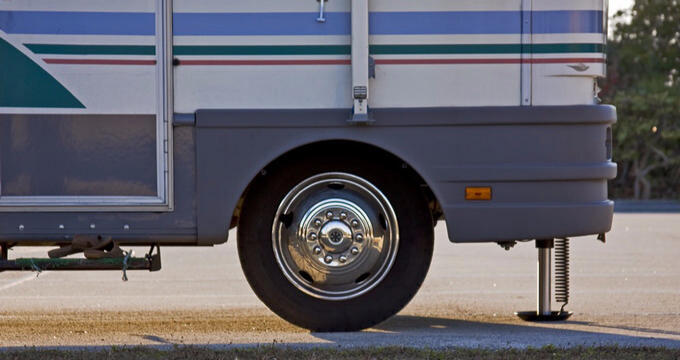 All of the RV sites at this location are pull-thru, full hook-up sites that come with free cable TV and high speed wireless internet access. On-site amenities at South Padre Island KOA Holiday include a snack bar selling food and drinks, a hot tub, a full-year swimming pool, fishing areas, a dog park to let your furry friends stretch their legs, a picnic pavilion, big rig friendly RV sites, and more. The staff here are also very friendly and organize fun activities like aqua aerobics, Zumba dance sessions, kids' games, and more. If you're looking for a super spot to park up your RV and have some fun at South Padre Island, Isla Blanca Park could be the perfect option for you and your fellow travelers. Situated in a prime spot, right by the island's best beaches and notable landmarks, this RV park is one of the prettiest locations in all of South Padre Island. It features over 600 full hook-up RV sites at great rates, with partial hook-ups available for just $40 and full hook-ups available for only $45 per day. There are also monthly rates for long term stays, and the prices can vary depending on what time of year you happen to be visiting and what sort of services you want. Some of the RV sites at Isla Blanca Park are classed as 'Premium' due to their beautiful views and full cable service, and these are available for as low as $50 a day during off-peak times. On-site amenities at this RV park include two huge pavilions, easy beach access, lots of scenic walking trails, boat ramps, restrooms, showers, picnic spots, concessions, and more. Lots of good restaurants are within walking distance too, and there are plenty of fishing charters and water sport rentals in the local area to choose from.